Fertilization is a worldwide practice to maintain and increase crop productivity and improve soil quality in agricultural ecosystems. The interactive mechanisms of long-term fertilization affecting the functional soil organic matter (SOM) fractions, microbial community, and enzyme activities are unclear. We investigated the effects of manure and mineral fertilization on six SOM fractions (non-protected, physically, chemically, biochemically, physical-chemically, and physical-biochemically protected), microbial community structure, and enzyme activities based on a 35-year fertilization experiment. 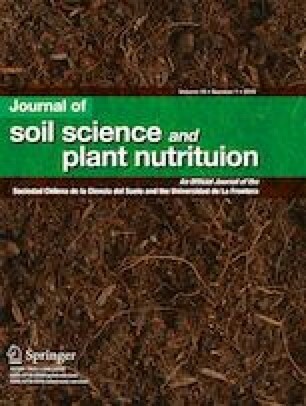 The combined application of manure and mineral fertilizers (NPKM) increased the soil organic carbon (SOC) and total nitrogen (TN) in the biochemically (28.6–43.9%) and physically (108–229%) protected fractions, compared to their content in the unfertilized soil (CK). The total phospholipid fatty acid content, Gram(−) bacteria, and actinomycetes, as well as the activities of α-1,4-glucosidase, β-1,4-N-acetylglucosaminidase, β-1,4-xylosidase, and cellobiohydrolase were highest under NPKM fertilization. The protected SOM fractions (physical, biochemical, physical-chemical, and physical-biochemical) were closely related to microbial community composition (accounting for 67.6% of the variance). Bacteria were sensitive to changes in the physically and biochemically protected fractions, whereas fungi responded more to the changes in the chemically protected fraction. In summary, long-term mineral and organic fertilization has a strong effect on microbial communities and activities through the changes in the functional SOM fractions. We thank the Editor and the anonymous reviewers for their valuable comments that helped us to greatly improve the manuscript.